Do you ever feel super lazy but also in dire need of something to eat? Only every day, right? Same. Being both lazy and hungry is the worst; that's why we're going to help you out. Here are 12 super easy and delicious recipes you can tackle even on your laziest days. Who doesn't love a grilled cheese? Especially when it's this easy to make. These pizza scrolls are both delicious AND simple. This donut mug cake only takes five minutes to make and will satisfy any sweet tooth. 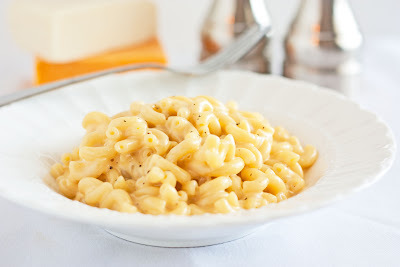 Mac and cheese is always a yes. Sometimes us lazy gals just need a snack to hold us over until someone else can cook for us. These cucumber bites are the perfect way to fill up in between meals. These pizza waffles take less than 10 minutes to make and are an amazing snack regardless of how lazy you feel. With these yummy cookies, you get lots of chocolatey deliciousness and you don't even have to bake them. Zero carbs, you say? Yes please! Upgrade your boring ramen noodles with this Pad Thai inspired ramen recipe. Meatball subs will definitely curb your appetite when you're feeling less than productive. Sweet potatoes, broccoli and cheese—that combination sounds heavenly. What's easier than throwing some ingredients into a mug and cooking them in the microwave? Nothing!